Let’s take a trip down memory lane, all the way back to 2007. The world was a different place. Rihanna’s “Umbrella” (ella, ella) dominated the Billboard Charts. Scorsese’s masterpiece The Departed won Best Picture. Facebook was only a year removed from opening its membership to the general public, and Twitter was a fledgling startup, still looking to gain traction. But even then, online polls were already emerging as an intriguing tool for digital marketers. 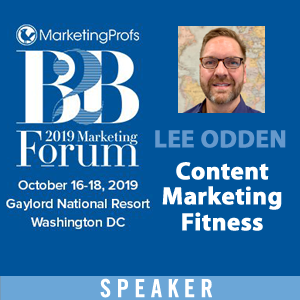 On this blog, TopRank Marketing CEO Lee Odden penned a post about the relatively nascent tactic, which could be utilized through a modest WordPress plugin. It’s a simple premise, and one that hasn’t changed over the past decade, although the tools at our disposal have evolved considerably. 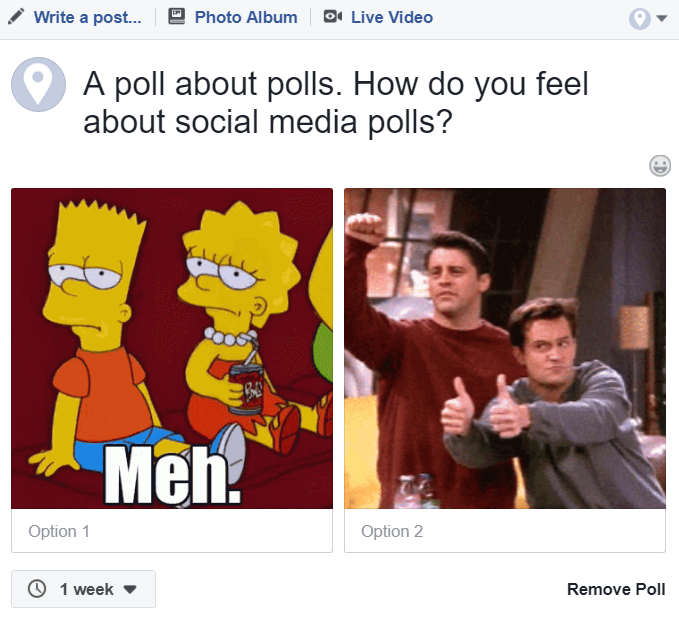 Today, audience polls are integrated features on most major social media networks. As marketers seek new ways to drive engagement and gather data, the allure of social media polls is obvious. Let’s take a look at how polls work on each platform, what kind of value they can provide, and how to get the most out of them. 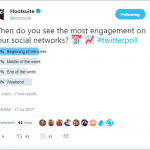 Users on Twitter could informally run polls in the platform’s early days — by manually tracking responses, hashtags, or retweets — but the official Twitter polls feature was launched in 2015. This made it easy to create sleek, interactive, customized polls with two (and later up to four) options. 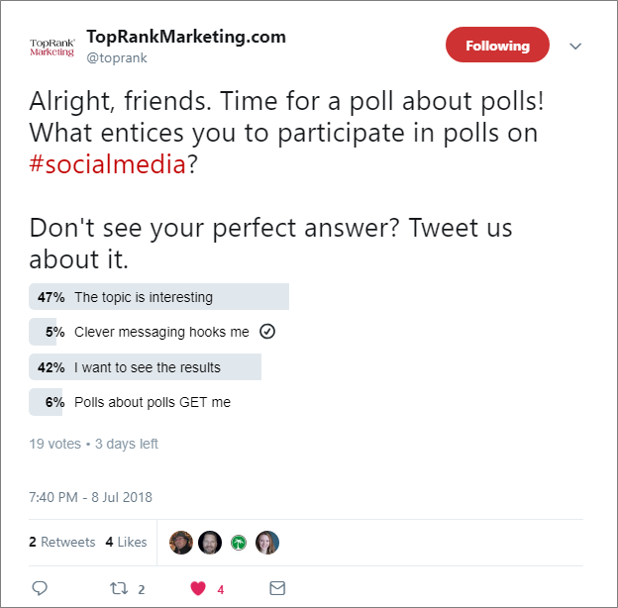 Staying in line with the overall appeal of Twitter, polls are extremely easy to participate in — one quick click of the mouse or tap of the mobile screen. In 2017, Instagram rolled out its own polling convention, which became a part of its Stories feature. 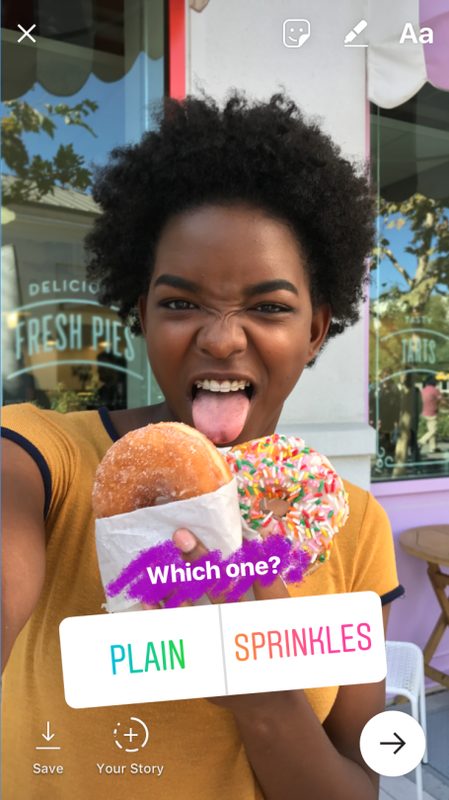 Instagram polls are added in the form of interactive stickers with two options that you can drag-and-drop on visual content you’ve created. This is an excellent avenue for quickly gathering feedback around something people can see right in front of them. And you’ll have many options for making them stand out aesthetically. If you have a sizable and engaged Instagram following, you could enlist your audience to help guide a decision (a la M&Ms). Customers might be more attached to what you’re doing if they feel like they played even a small part in directing it. You may also try using polls for more general topics or market research – Instagram does have an enormous and active user base, after all – but the way it’s set up doesn’t lend itself to such applications as well as the other platforms mentioned here. Very shortly after polls were introduced for Instagram last year, parent company Facebook released its own version for members and page administrators. Like Instagram, it only offers two response fields (presently), but does have some nice features like the ability to include images and gifs. Businesses might consider trying out more robust third-party apps Polls for Pages. Driving engagement on Facebook, as a publisher, has become very challenging. You likely know this already. Polls can be helpful in this regard. You’re competing with content from friends and family members in highly personalized feeds, so you’ll want a poll that stands out and bears considerable relevance to your audience. Take advantage of the ability to use images or moving graphics for voting options. While polls can be more impactful than a standard text-based update, your organic reach will still be somewhat limited by Facebook’s suppressive algorithm unless you really catch some viral traction or pay to boost the post. As of now, these are the only three social networks with built-in polls. LinkedIn used to have a Group polls feature, but retired it in 2014 (much to the chagrin of B2B marketers). Snapchat and Pinterest have never offered polls. In the sections above we mentioned some distinctions and pointers specific to each platform. 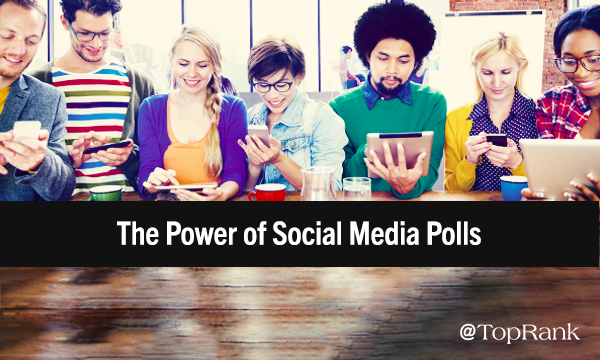 But at a higher level, here are a few recommendations for marketers looking to use social media polls. One thing I really like about the poll features on Twitter, Facebook, and Instagram is the immediate incentive factor for participants. Voting on a poll allows you to instantly see real-time results. I know there have been plenty of times where I’ve come across one on my feed and clicked because I was very curious to see what the general consensus was. Keep this irresistibility factor in mind as you create poll questions and response options. Let’s be honest: this isn’t exactly a scientific survey method, and the data obtained through social media polls isn’t going to be substantial enough to draw serious conclusions. However, you can still leverage the results in interesting ways. Then, they used the results (and responses) for an article on the topic. It was, transparently, just a sampling of feedback from random followers, but still made for a good read. Using the poll question as the post title also happens to be a savvy SEO move in this case, since it’s exactly the query a business owner might type into Google. Each platform has its own strengths and weaknesses. Make sure your polls align with them. Instagram and Facebook will only work for A/B type questions, which can be limiting. Twitter provides more of a multi-choice format but you can’t incorporate images or video into the voting options. And of course, each channel has its own distinct audience profile. In many cases, the objective for a running a poll will simply be to attract attention and boost engagement. Nothing wrong with that. But you can also think bigger and tie it to other goals. For example, you could run a Facebook poll with a trivia question, prompting voters to visit your website and find the answer. Think big and, when possible, tie your poll to a larger strategy. Granted, it doesn’t take a ton of effort to vote in a social media poll, but users are still taking an action and you should make it worth their while in some way. One method is to create content around the tabulations, as mentioned earlier. But even following up with later posts remarking on the results, or inviting further thoughts, will show that it you’re not just tossing out throwaway questions for the heck of it. It will signal that you’re genuinely engaged with what your audience has to say and that you want to hear more. Now that you know a little more about social media polls and how they work on each platform, where do you stand? Love ‘em? Hate ‘em? Let us know below (and, hey, we’d love it if you gave us a follow on Twitter while you’re at it). Disclosure: Slack is a TopRank Marketing client.